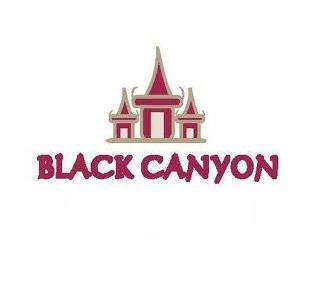 Black Canyon Restaurant is one of the various restaurants operating in Dubai Marina, where people come to enjoy romantic ambiance and a good range of authentic Thai cuisine together with other services. The cuisines of this restaurant are prepared by well trained chefs, who carefully creates each dish by adding the freshest available ingredients. Friendly waiters of this restaurant then serve these delicacies to their guests, who are admiringly looking at the decent decor of the restaurant. During cooler months, most of the guests like to have their food in the open area of Black Canyon Restaurant, which gives them wonderful sights of ‘The Walk’ and Dubai Marina. Black Canyon Restaurant in Festival Waterfront Centre has an extensive menu, as it not only offers Asian and vegetarian dishes but spectrum of Thai food is also served. The range of Thai fare includes various curries, rice dishes, wok specials, noodles and deep-fried starters. Guests have options to enjoy the delicious food of this eatery either in the outdoor seating facility or in the dining room, where a friendly staff will take care of them in the best way. Those, who want to carry food at home or elsewhere can avail their takeout service. The opening hours of this bistro between Sunday and Wednesday are from 10:00 am to 11:00 pm, whereas on Thursday and Friday operations begins at 10:00 am and ends around midnight. Jumeirah Beach Road, Dubai Marina, Dubai, United Arab Emirates. Best way to get to the Black Canyon Restaurant in Dubai Marina is either by bus or car, as there is no metro station within 2.5 kilometres of this complex. 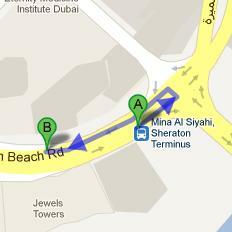 Head northeast on Jumeirah Beach Road, then make a U-turn, before making a slight right turn in order to get to the destination on the right side. View map for directions.